Nationwide, it seems as though “ag-gag” laws are being challenged and overturned left and right. “Ag-gag” is the term for laws that prevent undercover journalists, investigators, animal rights advocates, and other whistleblowers from secretly filming or recording at livestock facilities. “Ag-gag” also describes laws which make it illegal for undercover persons to use deception to obtain employment at livestock facilities. Many times, the laws were actually passed in response to under-cover investigations which illuminated conditions for animals raised at large industrial farms. Some of the videos and reports produced were questionable in nature—they either set-up the employees and the farms, or they were released without a broader context of farm operations. The laws were meant to protect the livestock industry from reporting that might be critical of their operations—obtained through deception and without context, or otherwise. On December 4, 2018, the Animal Legal Defense Fund (ALDF), along with other animal and food safety organizations, filed a complaint against the state of Kansas, arguing that the state’s ag-gag law is unconstitutional on freedom of speech grounds. Kansas’ ag-gag law can be found in the Kansas Statutes, sections 47-1826, 47-1827, 47-1828 and 21-6604. The law, among other things, makes it illegal, “without the effective consent of the owner,” to “enter an animal facility to take pictures by photograph, video camera or by any other means” with the “intent to damage the animal facility.” The law also makes it illegal for someone to conceal themselves in order to record conditions or to damage the facility. “Effective consent” cannot be obtained by “force, fraud, deception, duress, or threat,” meaning it is not permissible for an undercover whistleblower to apply for a job at an animal facility and work at the facility if they really intend to record and disseminate the conditions. ALDF and their fellow plaintiffs argue that the Kansas ag-gag law violates the First Amendment guarantee of freedom of speech. The plaintiffs argue that purpose of the Kansas law is to suppress certain kinds of political speech, namely the speech of animal rights activists and food safety organizations “because of their viewpoint and the content of their messages.” The plaintiffs assert that “[t]he law ensures only [the livestock] industry’s side of the debate” is heard. Furthermore, the plaintiffs argue that the Kansas law is overbroad in its attempt to limit freedom of speech, “prohibiti[ng] substantially more speech than the First Amendment permits.” The Kansas lawsuit is very similar to one in Iowa, where the judge recently overturned the state’s ag-gag statute. On January 9, 2019, James E. Gritzner, a U.S. District Court judge in the Southern District of Iowa found Iowa’s ag-gag law to be unconstitutional on First Amendment grounds. Like the complaint in Kansas, this lawsuit was initiated by ALDF and other groups against the state of Iowa. Gritzner’s decision is available here. Much like the Kansas lawsuit discussed above, the plaintiffs in this case argued that Iowa’s law was content-based, viewpoint-based, and overbroad, and thus violated the First Amendment right to free speech. Judge Gritzner agreed. In this case, Gritzner found that the speech being implicated, “false statements and misrepresentations,” was protected speech, citing the Supreme Court to make his point: “one of the costs of the First Amendment is that it protects the speech we detest as well as the speech we embrace.” In other words, even though the protected speech in this case consists of false statements, such speech is still protected under certain circumstances. Secondly, Judge Gritzner weighed in on the issue of scrutiny. Here, it was a question of whether to apply strict scrutiny, which the plaintiffs argued should apply, or intermediate scrutiny, which the defendants favored. Strict scrutiny requires that the challenged law deals with a compelling state interest, and that the law is narrowly tailored to accomplish that interest. Intermediate scrutiny is a step down from strict scrutiny; it requires the law to serve an important government objective, and to be substantially related to realizing that objective. Gritzner reasoned that it didn’t matter which level of scrutiny applied, because the Iowa law did not pass either one of the scrutiny tests. Finally, Gritzner explained why the Iowa statute did not satisfy either scrutiny standard. Here, the state of Iowa argued that the law was meant to protect the “state’s interests of private property and biosecurity.” Judge Gritzner noted that private property and biosecurity were not the only reasons for the statute—at least one state senator had been quoted as saying that the bill was meant to stop groups from giving “the agriculture industry a bad name.” In addition, Gritzner reasoned that these interests were not “compelling,” pointing to case law that found similar interests—protection to animals, people, and property—did not fall under the “compelling” category. Furthermore, Gritzner found that the statute was not “narrowly tailored,” because the language was not “actually necessary to protect perceived harms to property and biosecurity.” In other words, Gritzner thought it was a stretch to believe that someone giving a false statement or misrepresentation in order to access or become employed by an agricultural production facility is really related to property damage or biological harm. Gritzner also pointed out that Iowa has protected against such harms elsewhere in its statutes in “content neutral” language that does not affect freedom of speech. The judge did not spend much time discussing intermediate scrutiny, instead he explained that the Iowa law is simply too broad, harm is unlikely, and the need to prohibit the lies is small, which can be interpreted to mean that the law does not serve an important government objective. Several other states— including Idaho, Missouri, Montana, North Carolina, North Dakota, and Utah, have passed ag-gag laws similar to the laws in Kansas and Iowa. However, the laws have also been overturned in several states. In January 2018, the Ninth Circuit Court of Appeals determined most of Idaho’s ag-gag law violated the First Amendment. A federal district court in Utah also struck down Utah’s ag-gag law for violating freedom of speech. A similar lawsuit against a North Carolina law is also in progress. The North Carolina lawsuit will be an interesting one to watch since the statute applies to other property owners, not just those involved in agriculture. Time will tell whether the remaining state ag-gag laws meet constitutional muster. Stay tuned to the Ag Law Blog for any future developments. We are full steam ahead in 2019, and so far we have held to our new year’s resolutions. However, we want to take a quick look in the rearview mirror. Ohio legislators passed a number of bills in 2018 that affect Ohio agriculture. They range from multi-parcel auction laws to broadband grants, and oil & gas tax exemptions to hunting licenses. Here are some highlights of bills that the Ohio General Assembly passed and former Governor Kasich signed in 2018. House Bill 500, titled “Change township law.” As mentioned in a previous blog post, the Ohio General Assembly made a number of generally minor changes to Ohio’s township laws with House Bill 500. The changes included, among other things, requiring a board of township trustees to select a chairperson annually, modifying how vacating township roads and name changes are carried out, allowing fees for appealing a zoning board decision, clarifying how a board can suspend a member of a zoning commission or board of appeals, and removing the requirement for limited home rule townships to submit a zoning amendment or resolution to a planning commission. To learn about more of the changes that were made, visit the Ohio General Assembly’s H.B. 500 webpage here. House Bill 480, titled “Establish requirements for multi-parcel auctions.” The Ohio Department of Agriculture regulates auctions, and H.B. 480 gave ODA authority to regulate a new classification of auctions: the multi-parcel auction. Revised Code § 4707.01(Q) will define these as “any auction of real or personal property in which multiple parcels or lots are offered for sale in various amalgamations, including as individual parcels or lots, combinations of parcels or lots, and all parcels or lots as a whole.” For more information, visit the Ohio General Assembly’s H.B. 480 webpage here. House Bill 522, titled “Allow outdoor refreshment area to include F permit holders.” A municipality or township may create a “designated outdoor refreshment area” where people may walk around the area with their opened beer or liquor. Previously, only holders of certain D-class permits (bars, restaurants, and clubs) and A-class permits (alcohol manufacturers) could allow their patrons to partake in a designated open area. H.B. 522 will allow holders of an F-class liquor permit to also allow their patrons to roam in the designated area with an open container. F-class liquor permits are for festival-type events of a short duration. However, holders of either permits D-6 (allowing Sunday sales) or D-8 (allowing sales of growlers of beer or of tasting samples) will no longer be eligible for the open container exception. For more information, visit the Ohio General Assembly’s H.B. 522 webpage, here. Senate Bill 51, titled “Facilitate Lake Erie shoreline improvement.” As mentioned in a previous blog post, the primary purpose of Senate Bill 51 was to add projects for Lake Erie shoreline improvement to the list of public improvements that may be financed by a special improvement district. S.B. 51 also instructed the Ohio Department of Agriculture (“ODA”) to establish programs to assist in phosphorous reduction in the Western Lake Erie Basin. This adds to the previous instructions given to ODA in S.B. 299 regarding the Soil and Water Phosphorous Program. S.B. 51 further provided funding for a number of projects, ranging from flood mitigation to MLS stadium construction. For more information, visit the Ohio General Assembly’s S.B. 51 webpage here. Senate Bill 299, titled “Finance projects for protection of Lake Erie and its basin.” Largely an appropriations bill to fund projects, S.B. 299 primarily targeted water quality projects and research. ODA received an additional $3.5 million to support county soil and water conservation districts in the Western Lake Erie Basin, plus $20 million to establish water quality programs under a Soil and Water Phosphorous Program. Further, the Ohio Department of Natural Resources (“ODNR”) received an additional $10 million to support projects that divert dredging materials from Lake Erie. Stone Laboratory, a sea grant research program, received an additional $2.65 million. The bill also created a mentorship program called OhioCorps, and set aside money for grants to promote broadband internet access. For more information, visit the Ohio General Assembly’s S.B. 299 webpage here. Senate Bill 257, titled “Changes to hunting and fishing laws.” ODNR may now offer multi-year and lifetime hunting and fishing licenses to Ohio residents under S.B. 257. Further, the bill creates a resident apprentice senior hunting license and an apprentice senior fur taker permit, and removes the statutory limits on the number of these permits a person may purchase. The bill also creates a permit for a Lake Erie Sport Fishing District, which may be issued to nonresidents to fish in the portions of Lake Erie and connected waters under Ohio’s control. For more information, visit the Ohio General Assembly’s S.B. 257 webpage here. House Bill 225, titled “Regards plugging idle or orphaned wells.” H.B. 225 creates a reporting system where a landowner may notify ODNR’s Division of Oil and Gas Resources about idle and orphaned oil or gas wells. Upon notification, the Division must inspect the well within 30 days. After the inspection, the Division must determine the priority for plugging the well, and may contract with a third party to plug the well. To fund this, the bill increases appropriations to the Oil and Gas Well Fund, and increases the portion of the fund that must go to plugging oil and gas wells. For more information, visit the Ohio General Assembly’s H.B. 225 webpage here. House Bill 430, titled “Expand sales tax exemption for oil and gas production property.” Certain goods and services directly used for oil and gas production have been exempted from sales and use taxes, and H.B. 430 clarifies what does and does not qualify for the exemption. Additionally, property used to control water pollution may qualify for the property, sales, and use tax exemptions if approved by ODNR as a qualifying property. H.B. 430 also extends the moratorium on licenses and transfers of licenses for fireworks manufacturers and wholesalers. For more information, visit the Ohio General Assembly’s H.B. 430 webpage here. Senate Bill 229, titled “Modify Board of Pharmacy and controlled substances laws.” The Farm Bill’s opening the door for industrial hemp at the federal level has led to a lot of conversations about controlled substances, which we addressed in a previous blog post. Once its changes take effect, Ohio’s S.B. 229 will remove the controlled substances schedules from the Ohio Revised Code, which involve the well-known numbering system of schedules I, II, III, IV, and V. Instead, the Ohio Board of Pharmacy will have rulemaking authority to create schedules and classify drugs and compounds. Prior to the removal of the schedules from the Revised Code, the Board of Pharmacy must create the new schedules by rule. S.B. 229 also mentions cannabidiols, and lists them as schedule V under the current system if the specific cannabidiol drug has approval from the Food and Drug Administration. For more information, visit the Ohio General Assembly’s S.B. 229 webpage here. The end of 2018 effectively marked the end of the 132nd Ohio General Assembly, and 2019 marks the start of the 133rd Ohio General Assembly. Any pending bills from the 132nd General Assembly that were not passed will have to be reintroduced if legislators wish to proceed with those bills. Stay tuned to the Ag Law Blog for legal updates affecting agriculture from the Ohio General Assembly. GIPSA as we know it is no more. A rule was released November 29, 2018 by the USDA as part of the Trump administration’s ongoing efforts to reorganize the agency. Of particular note, the rule, which was published in the Federal Register, eliminates the Grain Inspection, Packers and Stockyards Administration (GIPSA) as a “stand-alone agency.” According to the GIPSA website (which is currently still available here), the agency “facilitate[d] the marketing of livestock, poultry, meat, cereals, oilseeds, and related agricultural products, and promote[d] fair and competitive trading practices for the overall benefit of consumers and American agriculture.” The new administrative rule relocates GIPSA responsibilities to the Agricultural Marketing Service (AMS) Administrator. The change is not without controversy, as some farmers and agricultural groups argue that the protection of farmers through fair trading practices is antithetical to AMS, an agency responsible for marketing and promoting commodities. The rule is available here. Supreme Court considers when habitat is “critical habitat” under the Endangered Species Act. The Supreme Court of the United States ruled in favor of private landowners when it recently determined that protected “critical habitat” for an endangered species must be habitat in which the species could actually survive. The Court’s decision in Weyerhaeuser Co. v. United States Fish and Wildlife Service et al involved the dusky gopher frog, an endangered species that once lived throughout the coastal regions of Alabama, Louisiana, and Mississippi. Some of the habitat deemed by the U.S. Fish & Wildlife Service to be protected “critical habitat” for the frog was not actually occupied by the frog, and was instead being used for commercial timber production. Weyerhaeuser and other affected landowners brought suit, claiming that the land couldn’t be critical habitat because the frog could not survive there without significant human intervention, such as intensive tree planting. The Court agreed that critical habitat “cannot include areas where the species could not currently survive.” Weyerhouser and other landowners had also challenged the agency’s cost-benefit analysis for the critical habitat designation, but the Fifth Circuit Court of Appeals disagreed and stated that it had no power to review the FWS analysis. The Supreme Court disagreed, stating that federal courts can review an agency’s economic impact analysis to determine whether the agency abused its discretion or was arbitrary and capricious. With that guidance, the Supreme Court remanded the case back to the Fifth Circuit for further proceedings. The Supreme Court’s decision is here. A second judge finds that Trump’s WOTUS repeal was not procedurally sound. Surprise, surprise, the WOTUS, or “waters of the United States” rule is in the news again. In many previous blog posts, we have chronicled decisions on the ever-present WOTUS rule (search “WOTUS” in our search bar for our other posts). Readers will recall that last February, the Trump administration published a new rule which was meant to repeal Obama’s WOTUS rule and replace it with the pre-2015 definition of WOTUS until a new definition could be developed. Trump’s rule was published on February 6, 2018, giving the administration until 2020 to come up with a new definition. On August 16, 2018, a district court judge in South Carolina found that the Trump administration did not comply with the requirements of the Administrative Procedure Act (APA) when it enacted the February 6 rule. Similarly, on November 26, 2018, Judge John Coughenour in the Western District of Washington found that “by restricting the content of the comments solicited and considered [about the February rule], the Agencies deprived the public of a meaningful opportunity to comment on relevant and significant issues in violation of the APA’s notice and comment requirements.” Rulemaking that violates the APA is invalid. Judge Coughenour’s full decision is available here. Both the South Carolina and the Washington state district court decisions are applicable to the entire country. As a result, one might think that the Obama WOTUS rule should be in effect nationwide. However, it is important to remember that in some states, there are injunctions against carrying out Obama’s WOTUS rule. This means that it cannot be carried out in those states, and that the pre-2015 rule is actually effective in those states. EPA has a map depicting which version of the rule applies where. Uncertainty and WOTUS seem to be synonymous these days. The only thing we know for certain is that the WOTUS saga is not over, meaning things are likely to change again in the future. Ohio Treasurer pioneers paying taxes with Bitcoin. Any business operating in Ohio may now pay certain taxes to the state of Ohio using Bitcoin, as recently announced by outgoing Ohio Treasurer Josh Mandel. The move makes Ohio the first state to accept Bitcoin as a form of tax payment. The official press release expressed hopes that other cryptocurrencies could be used, but at this time only Bitcoin will be accepted. Cryptocurrencies are said to be secure because they use blockchain, which is a digital register of transactions and information that is difficult to modify because changes to the register cannot be done by any single user. The Treasurer’s Office has specified 23 different taxes that can be paid with cryptocurrencies, including: Commercial Activity Taxes (CAT), consumer’s use taxes, Interest on Lawyers Trust Accounts (IOLTA) taxes, Pass-Thru Entity (PTE) taxes, sales taxes, and more. Paying with cryptocurrency is being accepted as an additional form of payment, as businesses can still pay with ACH credit, ACH debit, check, and money order. However, the state will not keep the cryptocurrency, but instead will use a third party to cash out the Bitcoin and convert it into U.S. dollars before depositing them into the state’s account. For more information, visit www.OhioCrypto.com or view the Treasurer’s Frequently Asked Questions page here. Bayer prepares to bear with multiple jury trials over Monsanto’s glyphosate. Bayer AG continues to battle more and more plaintiffs claiming that their health problems were caused as a direct result of Monsanto’s Roundup and glyphosate. Another 600 plaintiffs have reportedly sued Bayer/Monsanto in the past two months since we last reported the number of lawsuits initiated with this argument. Following the multi-billion dollar verdict in California state court late this summer, more jury trials are set to begin. Over 620 cases have been filed in federal court, and the first case to reach a federal jury is now set for trial in San Francisco in February 2019. Another California state court case has been fast-tracked to be heard in March 2019 because of the condition and age of the plaintiffs. Yet another case is expected to be scheduled in Missouri state court for sometime later in 2019. The cases largely depend upon a plaintiff’s ability to convince a jury that his or her cancer was more likely than not directly caused by glyphosate. This question because controversial in 2015 when the United Nation’s World Health Organization released a report stating that the widely used herbicide is “probably carcinogenic to humans.” However, the U.S. Environmental Protection Agency issued a release in 2017 saying that its own findings demonstrate that glyphosate is unlikely to be carcinogenic in humans. Is this pumpkin pie made of pumpkin? Thanksgiving dinner conversations often involve at least one debate for many families. Prompted by recent coverage in news outlets like the Wall Street Journal, one of the topics this year was whether grandma’s pumpkin pie is made of pumpkin, and whether it should be. At one end of the debate are those who say that pumpkin pie must be made from pumpkins, while others say that closely related squashes have a better flavor and consistency that make a pie taste the way a “pumpkin pie” should taste. Central to this debate is the status of firm-shelled, golden-fleshed sweet squash, which currently makes up a large portion of the market for “canned pumpkin.” The U.S. Food and Drug Administration (FDA) has a long-standing policy saying that labeling the golden-fleshed, sweet squash as “pumpkin” complies with the Food, Drug, and Cosmetic Act and the Fair Packaging and Labeling Act. Since 1938, the FDA has “consistently advised canners that we would not initiate regulatory action solely because of their using the designation “pumpkin” or “canned pumpkin” on labels for articles prepared from golden-fleshed, sweet squash, or mixtures of such squash with field pumpkins.” The FDA explains that allowing current labeling practice does not seem to mislead or deceive consumers. While the FDA declines to take a stand on the issue, families are free to continue to debate which ingredients make for the best pumpkin pie. Did you know that states’ “right-to-farm” protections can apply to aquaculture, too? A few weeks ago we attended the American Agricultural Law Association’s (AALA) annual conference, which was held in Portland, Oregon this year. While we were there, we had the opportunity to learn about numerous topics related to agricultural law. One such topic was presented by our colleague from the National Sea Grant Law Center, Amanda Nichols. Nichols presented her research on state “right-to-farm” statutes and their applicability to aquaculture. For those who don’t know, aquaculture is defined by the National Oceanic and Atmospheric Administration (NOAA) as “the breeding, rearing, and harvesting of fish, shellfish, plants, algae, and other organisms in all types of water environments.” Thus, aquaculture is essentially the farming of aquatic species in freshwater and saltwater, in manmade and natural bodies of water. Right-to-farm laws are meant to protect agricultural operations against nuisance lawsuits brought by neighboring landowners complaining about smell, dust, noise, or other annoyances. In terms of “traditional,” terrestrial farming, for example, right-to-farm laws could potentially protect against lawsuits claiming the spreading or accumulation of livestock manure is a nuisance to neighbors. Every state in the U.S. has their own right-to-farm statute, and some of the statutes protect farming operations more completely than others do. For example, Ohio’s right-to-farm language provides farmers with a complete defense to civil nuisance lawsuits when certain conditions are met. On the other hand, neighboring Michigan and Pennsylvania’s statutes provide no such defenses. In her research on the topic of which states include protection of aquaculture operations in their right-to-farm laws, Nichols found that twenty-six states, including Ohio, “expressly include fish or aquaculture within the scope of their right-to-farm protections.” As a result, any right-to-farm protections to traditional agriculture, as well as any conditions agricultural operations must meet in order for the right-to-farm language to apply, would also extend to aquaculture in those twenty-six states. Nichols found that one state, New Jersey, did “not mention aquaculture or fish expressly” but has adopted a manual for best management practices (BMPs) for aquaculture within the state, which shows the state’s “intent” to protect aquaculture from nuisance lawsuits. Ohio farmers, including those involved in aquaculture, have right-to-farm protection in two parts of the Ohio Revised Code (ORC). ORC Chapter 929 establishes “agricultural districts.” Generally, in order to place land in an agricultural district, the owner of the land must file an application with the county auditor. Certain requirements must be met in order for an application to be accepted. Slightly different rules apply if the land in question is within a municipal corporation or is being annexed by a municipality. If the application is accepted, the land is placed in an agricultural district for five years. The owner may submit a renewal application after that time is up. D. The agricultural activities were not in conflict with federal, state, and local laws and rules relating to the alleged nuisance or were conducted in accordance with generally accepted agriculture practices. The ORC’s chapter on nuisances provides additional protection for those “engaged in agriculture-related activities.” Under ORC 3767.13, people who are practicing agricultural activities “outside a municipal corporation, in accordance with generally accepted agricultural practices, and in such a manner so as not to have a substantial, adverse effect on public health, safety, or welfare” are typically exempt from claims of nuisance due to farm noise, smells, etc. Not only is Ohio’s right-to-farm legislation more forceful in its protection of agriculture than many other states, but it also explicitly includes aquaculture under that protection. AALA gave us the chance to learn about this very interesting study of right-to-farm legislation as applies to aquaculture, which is an area of agriculture that many Ohioans might not necessarily think about. If you are interested in learning more about state right-to-farm laws and aquaculture, the National Sea Grant Law Center’s report is available here. North Carolina’s Smithfield Lawsuits: Could Ohio Farmers Face Similar Results? Over the last several months, three nuisance cases have been decided against Smithfield Foods in federal court in North Carolina. The juries in the cases have found Smithfield’s large farms, with thousands of hogs, and the odor, traffic, and flies that come along with them, to be a nuisance to neighboring landowners. Smithfield has been ordered to pay hefty damages to the neighbors, and more cases against the company remain to be decided. Given the outcomes of the cases that have been decided thus far, farmers and landowners in Ohio might be wondering how Ohio law compares to North Carolina law as pertains to agricultural nuisances. Many states, including both Ohio and North Carolina, have “right-to-farm” legislation, which in part is meant to protect agriculture from nuisance lawsuits such as those filed against Smithfield. While nearly every state has a right-to-farm statute, they do differ in language and how they go about protecting agriculture. Ohio farmers have right-to-farm protection in two parts of the Revised Code. ORC Chapter 929 establishes “agricultural districts.” Generally, in order to place land in an agricultural district, the owner of the land must file an application with the county auditor. Certain requirements must be met in order for an application to be accepted. Slightly different rules apply if the land in question is within a municipal corporation or is being annexed by a municipality. If the application is accepted, the land is placed in an agricultural district for five years. The owner may submit a renewal application after that time is up. The agricultural activities were not in conflict with federal, state, and local laws and rules relating to the alleged nuisance or were conducted in accordance with generally accepted agriculture practices. Much like Ohio, North Carolina farm land can be part of an “agricultural district.” North Carolina’s preservation of farmland law is available here. This program is meant to protect agricultural land—land that is part of an agricultural district is must be used for agriculture for at least 10 years. However, unlike Ohio’s law, North Carolina does not specifically spell out that land in agricultural districts will be protected from nuisance suits when the landowner follows the rules of the agricultural district. North Carolina’s law does state that one of the purposes of agricultural districts is to “increase protection from nuisance suits and other negative impacts on properly managed farms,” but unlike Ohio, it does not explicitly state that being part of an agricultural district is a defense to a nuisance lawsuit. (a) No agricultural or forestry operation or any of its appurtenances shall be or become a nuisance, private or public, by any changed conditions in or about the locality outside of the operation after the operation has been in operation for more than one year, when such an operation was not a nuisance at the time the operation began. A change in ownership or size. An interruption of farming for a period of no more than three years. Participation in a government-sponsored agricultural program. A change in the type of agricultural or forestry product produced. The original law did not protect agricultural operations if their actions were negligent or improper. The original law is available here. Following the first decision against Smithfield, the North Carolina legislature overrode the Governor’s veto to implement amendments to the state’s right-to-farm law. In the amendments, available here (sections 106-701 and 106-702), the legislature substantially changed the language of the law, making what constitutes a nuisance much more explicit and dependent on certain factors. What is more, the new version of the law places limits on when plaintiffs can recover punitive damages for a private nuisance action. A comparison of the Ohio and North Carolina’s sections of legislation promoting the “right-to-farm” shows how different the two states are. Ohio’s legislative language makes it obvious that the meaning of the law is to protect agriculture from nuisance suits—by specifically stating that being in an agricultural district is a complete defense to nuisance, and that otherwise, agriculture is generally exempt from nuisance suits. North Carolina’s law concerning agricultural districts does not specifically state that being in such a district is a defense to nuisance, instead, it simply expresses the hope that districts will “increase protection from nuisance suits.” Furthermore, while North Carolina’s original right-to-farm law stated that agricultural operations do not “become a nuisance” due to changed conditions in the community, that language is not very specific. Ohio’s agricultural district language lays out exactly what must be done to have a complete defense against a nuisance lawsuit; North Carolina’s language in multiple parts of the General Statutes does not have the same degree of specificity. 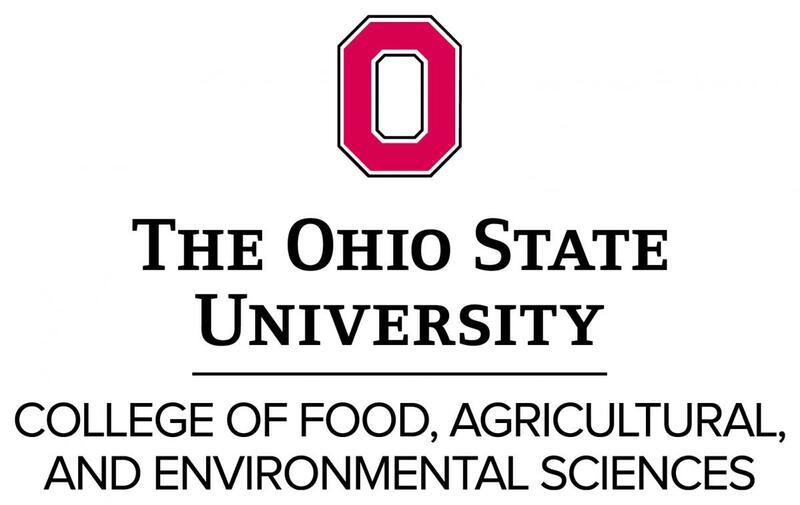 In addition to the right-to-farm law, under ORC 903.13, those owning, operating, or responsible for concentrated animal feeding facilities in Ohio have an affirmative defense to a private civil action for nuisance against them if the CAFO is “in compliance with best management practices” established in their installation of a disposal system or operation permits. North Carolina does not appear to have similar language protecting permitted farms in its General Statutes. In the lawsuits against Smithfield farms, the lawyers for the plaintiffs (neighboring landowners) have continuously asserted that Smithfield has “means and ability” to “reduce the nuisance from existing facilities” by ending the use of “lagoon and sprayfield” systems at their farms. Plaintiffs stress that not only is Smithfield Foods, Inc. a large, wealthy, multinational company, but that they have also changed their lagoon and sprayfield practices outside of North Carolina. In lagoon and sprayfield systems, all waste is collected in an open-air lagoon and then sprayed on fields as fertilizer. The practice was first banned for new construction in North Carolina in 1997, and in 2007, the state permanently banned the practice for newly constructed swine facilities. Although many of the facilities in question were opened before any ban on the construction of lagoon and sprayfield facilities, the plaintiffs contend that changes made in other states mean Smithfield can afford to change in North Carolina. The ban on new lagoon and sprayfield systems in North Carolina, and evidence that Smithfield has used different practices to reduce the smell from the farms in other states, likely helped the juries in the cases that have been tried to date find that the farms are a nuisance to their neighbors. The above argument is something operators of livestock facilities in Ohio should be aware of. Although Ohio has not specifically banned lagoon and sprayfield systems like North Carolina has, the ability to change the system could still potentially be used to argue nuisance. Ohio operators are supposed to follow best management practices and the Natural Resources Conservation Service’s Field Office Technical guide when applying and storing manure, which include ways to reduce odor from manure and other applications, as well as reducing other types of nutrient pollution. Following such guidelines would likely help operators in any argument against nuisance. A few bills related to food preparation and dining in the great outdoors are on the move in the Ohio General Assembly. One of the bills, Senate Bill 233, would allow those who produce cottage foods to do so in a firebrick oven on a patio connected to the producer’s residence. According to Ohio law, cottage foods are non-hazardous and are produced in a person’s home. Cottage foods can include, but are not necessarily limited to: bakery products, jams, jellies, candy, and fruit butter. If passed, SB 233 would change the current law, which only allows cottage foods to be prepared in an oven or on a stove inside the cottage food producer’s residence. SB 233 would allow producers to use both an inside oven and an outside firebrick oven. The bill is currently being debated in the Senate Health, Human Services & Medicaid Committee. Two identical bills concerning dogs on restaurant patios are working their way through the two houses of the General Assembly—House Bill 263 and SB 182. The bills would prohibit state agencies and local boards of health from adopting rules banning dogs “in an outdoor dining area of a retail food establishment or food service operation.” Even though the government would not be able to ban dogs in those areas, the bills would allow individual restaurants to decide to keep dogs out of their outdoor areas, with the exception of service dogs. HB 263 is being considered in the House Economic Development, Commerce & Labor Committee. SB 182 is currently being discussed in the Senate Health, Human Services & Medicaid Committee. Will cottage food producers be able to make tasty treats in firebrick ovens? Will your canine companion generally be allowed to accompany you on restaurant patios throughout Ohio? Stay tuned to the Ag Law Blog for any updates on these bills.